The National Democratic Congress (NDC) believes the use of only birth certificates and passports for the registration of the Ghana Card is infringing on the rights of some Ghanaians. In a statement released after a meeting with the National Identification Authority (NIA), it urged the authority to consider accepting the Voters ID for the registration. “The NDC is of the considered view that this new exercise will not promote the stability of the State as it will only seek to make some Ghanaians become more Ghanaian than others in direct contravention of the 1992 Constitution,” the statement said.Documents such as driving licences, National Health Insurance cards, baptismal certificates and voters identity cards are no longer tenable as sources of identification for the Ghana Card per the National Identification Amendment Law 2017 (Act 950). 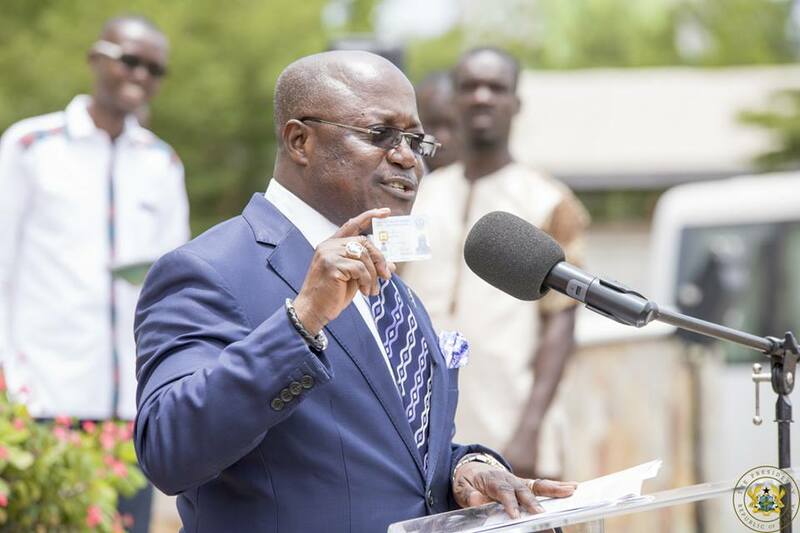 The Ghana Card registration again failed to launch on Monday despite the NIA’s assurances. The three arms of government, former heads of state, journalists and security officials were to be the first to be issued cards before registration opened to the general public. The NIA has apologised to the Presidency and other institutions for its inability to issue the Ghana Card. In a statement, the NIA said it would outline the challenges it faced in due course. Monday’s failure marked it the fifth time the NIA’s has missed an announced deadline. The Functional Executive Committee (FEC) of the NDC, this afternoon granted audience to Ghana Card Team led by the Executive Secretary of the National Identification Authority (NIA), Professor Ken Attafuah, in relation to issues that have to do with ACT 950 (2017), which makes the use of only Passports and Birth Certificates the base documents for the creation of the intended Ghana Card. The FEC of the NDC has made it abundantly clear that the implementation of the provisions of the Act will deny the vast majority of the population the opportunity to acquire the Card. The NDC has expressed its deep concerns about the limitation it will impose on ordinary Ghanaians who through no fault of theirs own neither Passports nor Birth Certificates as well as the fact that this current dispensation will undermine the legitimacy of the Voters ID Card as declared by the Supreme Court in its ruling vis-a-vis the Abu Ramadan case in 2016. The NDC is of the considered view that this new exercise will not promote the stability of the State as it will only seek to make some Ghanaians become more Ghanaian than others in direct contravention of the 1992 Constitution. While reiterating its support for the provision of Identity Cards for Ghanaians, FEC expressed concerns at certain provisions of the Act which will prevent fellow citizens from the process of registration. FEC takes note of the fact certain provisions of the Act which was passed under a Certificate of Urgency will impose limitations on ordinary Ghanaians who do not possess passports nor Birth Certificates. The FEC considers as cumbersome the process of verification for Ghanaians without the two IDs. The FEC reiterates its demand to the NIA, and we wish by this Release to call for a review of the Amendment to Act 750 (2008), and ensure that the Voters ID Card is added to the set of Identity Documents required for registration even as the NIA is working to resolve its technical issues which prevented the commencement of the Excercise yesterday. The NDC is also alarmed at the cost of $1.2 Billion that this project will cost the people of Ghana as it is not in consonance with President Akufo-Addo’s often touted mantra of “Protecting The Public Purse” and we are calling on all well-meaning Ghanaians to demand answers relating to issues bordering on value for money. Mahama Ministers Received Double Salaries?